Canada is one of the most popular immigration destinations in the world. Founded by immigrants themselves, Canada has a long history of welcoming people from various backgrounds and incorporating them in the social order. 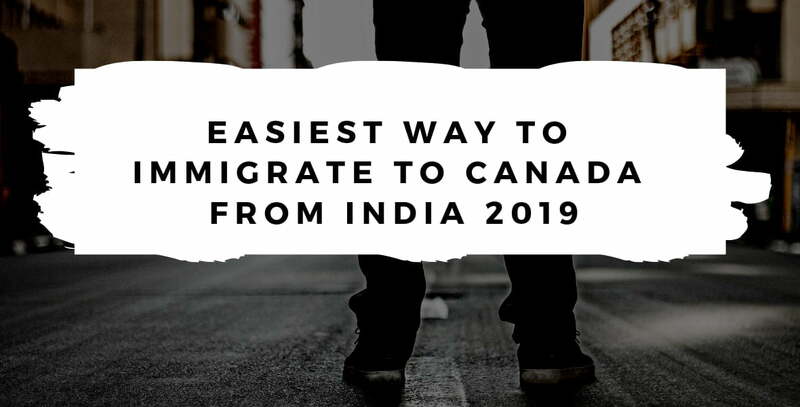 In the 21st century, Canada’s popularity has risen even further, particularly thanks to the establishment of the Express Entry program in 2018.While earlier it used to take a long time for an immigration application to get processed, now Canada PR immigration applications can get processed in as little as 6 months. So the entire process of application, verification, selection and finally immigration can be done in 9 to 12 months. This is one of the many reasons why Canada is ranked among the top immigration destinations in the western world. What is Canada PR Visa Fee ? Canada is inviting 1 million New Permanent residents till 2021. How to Grab this Opportunity? Disclaimer World Overseas Immigration is not a law firm. We assist our clients with their immigration needs and provide appropriate immigration consultation as required. World overseas immigration , its associates, administrator could periodically take decisions which may not be consistent with, or at odds with the recommendations or observations offered here on this site. The opinions given here in this material are based on the data made available by several sources, even as the firm may or may not go by all the opinions and facts given here on this site. World overseas has not autonomously corroborated each and every detail carried here on this site. So, we may neither confirm, nor make any demonstration or warranty to the correctness of the contents or data carried here on this site. Even as World overseas immigration strives hard to keep you fully informed on the info mentioned here, there could be certain factors which may stop or restrict us from indulging in the same. Visa fee is subjected to change without prior notice. Please confirm before submitting your application Visa processing time is in total discretion of embassy.